In industry many times a batch contains a certain number of objects. Batch Counter will automatically generate a relay output when a preset number of count has reached and a number of such batches are also counted and stored in counter memory. 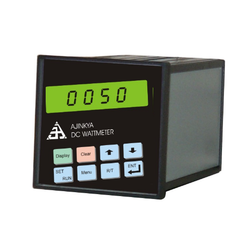 DC Watt Meters IM2600 for measuring DC Power in a load. 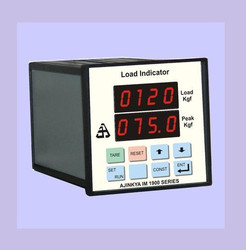 Our range of Load Indicator is controlled by a microcontroller that is highly adaptable for weighing / batching applications. To control drive, solenoid, and material in hopper various controlling options are available. To cover a wide spectrum of applications load cell/weighbridge interface is offered. Other options like printer interface / PC interface / 4-20 mA output has been made available for versatile connect to PC or SCADA software or feed values to PLC. Load Cell Input interface for load cell. On-site software calibration apart from Hardware calibration possible. NV RAM storage facility is given to retain set point in case of power failure. For drive control in batching applications, optional control output sends outputs rated 230V / 5A (resistive). Provision for inflation correction. High Low relay alarm outputs optionally. Options: RS232 serial printer RS485 / RS232 Modbus interface Provision to connect up to 4 load cells. 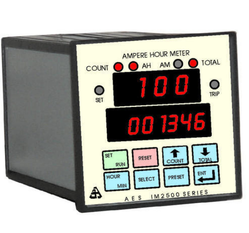 Counter Logger has a programmable set point, which when a number of count reaches to, a relay is operated. This is can be used to alert the operator or automate the production sequence by switching motor/conveyor on/off etc. 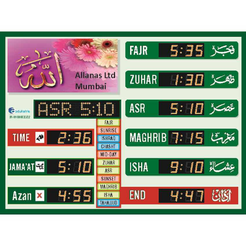 our salaah time indicator provides the complete solution to the masjid prayers. it is also known as mosque prayer display system. it has a current time and jamaat to show how many seconds to left for the jamaat. the indicator has a facility to remind the muezzin to give adhan on time. as well as the indicator shows the time of fujr, ddhuhr, asr, maghrib, isha, jhuma salaah. this time changes automatically throughout the year. tomorrow shows a next day’s time of each salaah. the indicator shows sahr and iftar times. this feature is very helpful during the month of ramadaan. tulu & gurub are the time when one should avoid offering salaah. salaah time indicator has a facility with hijri date & month as well as english date & month too. 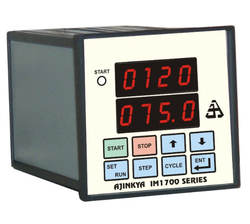 Timer with Counter has a programmable set point when a number of counts are set on productions, a relay is operated. This can be used automate the production. It holds the no of counts with respect to time cycles. 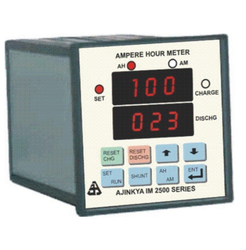 The range of IM2500 series model Charge Discharge Ampere Hour Meter IM2507 provided by us has some advanced features which make it a highly sought after product in different industries. 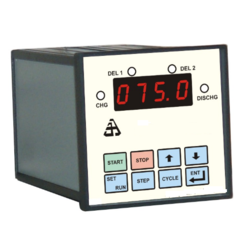 It has two independent 4 digit displays for a separate charge and discharges counting. While one display counts the charge through the circuit, the other counts the discharge. Looking for Test And Measurement Products ?